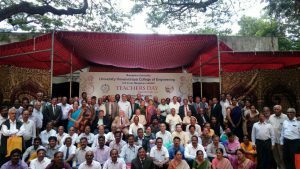 Happy Teachers Day to all our beloved lecturers and professors!! It is due to the guidance and teachings by all the wonderful teachers, we are in such positions in life. We have to remember them everyday! 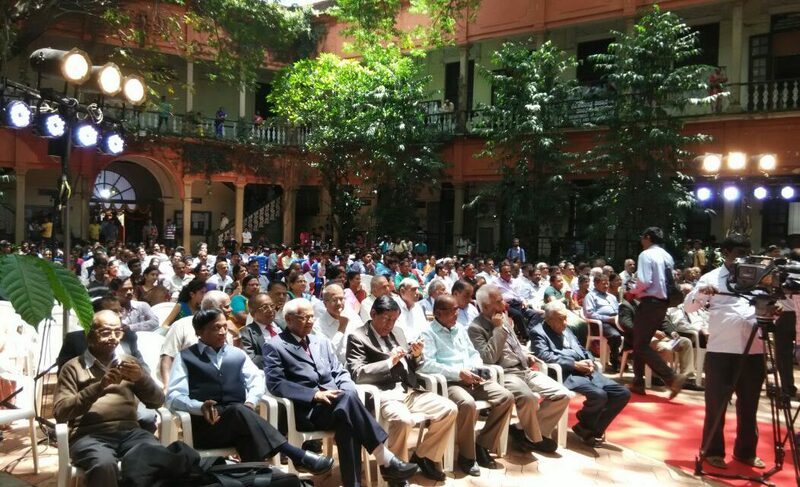 Today, “Teachers Day” was celebrated in grand manner at UVCE on account of Centenary Year.. 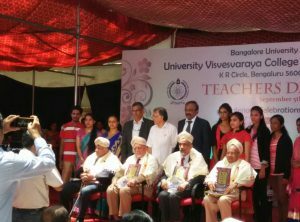 Many retired faculty of UVCE were felicitated by the dignitaries – Dr M R Srinivasan, Prof Rhoddam Narasimha, Dr Chidananda Gowda, Dr R Natarajan along with Dr N Ramesh (VC, Bangalore University) and Dr Venugopal K R (Principal, UVCE).Later, the current faculty members were honored as well. 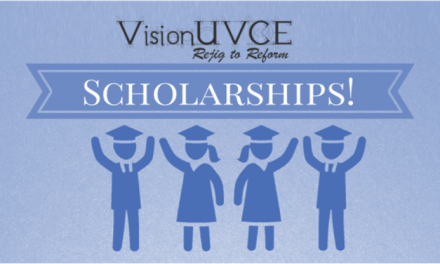 The current students witnessed this historic moment and understood the heritage and legacy of UVCE. 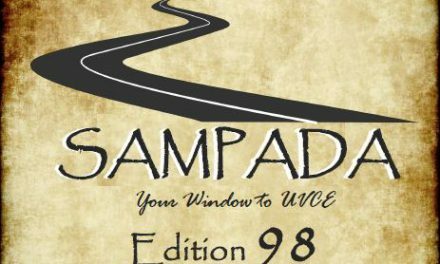 Everyone who attended the event were filled with feeling of pride and were also inspired to achieve something in their lives.More details about the event and photos will be updated shortly in the next edition of Sampada.. Stay Tuned !! 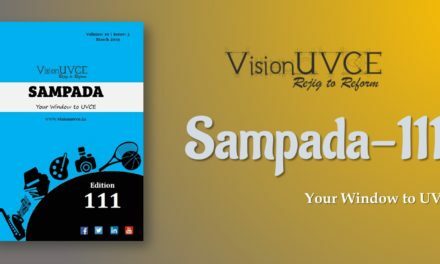 The first of this series of SAMVAADA is starting this Saturday. The schedule and other details will be announced shortly. 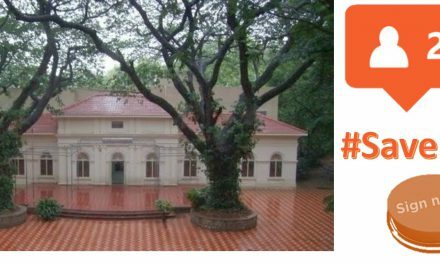 Anyone interested – irrespective of their batch and branch – are welcome.